A question I get asked frequently by parents is "what's the best driver training for my teen?" Read today's piece on DriveWise and simulators. After an interview with Ron Fellows I did a few months back, he strongly recommended the simulators they use. When it was time for Ari to go, I took him based on that recommendation. DriveWise schools are all independently owned and operated - do your research. I'm sold. 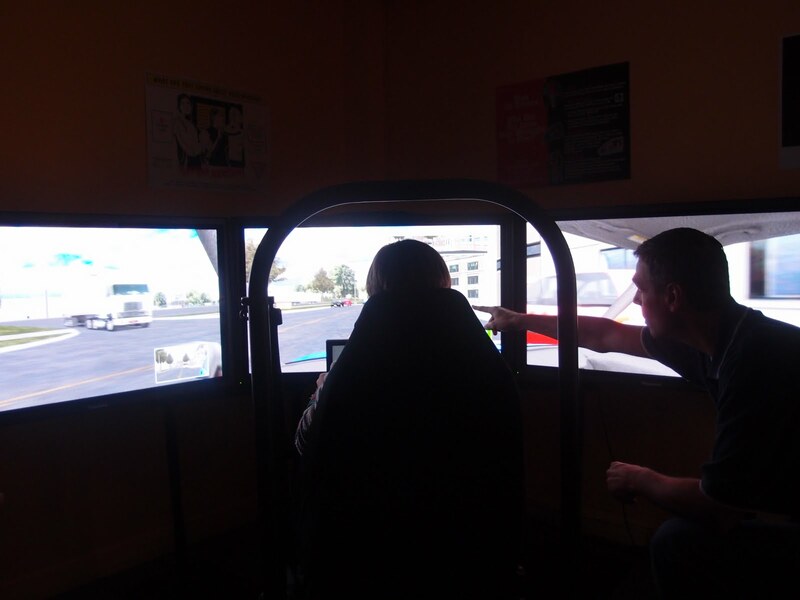 Simulators are a great bridge between classroom and car. They can't replace either one, but it's a step in the right direction. The students also love them, and if you remember how dry and boring the classroom component of driver training could be, you won't be surprised that something so interactive gets their attention. They're used to learning this way. I urge you to consider it when checking out schools. I also recommend advanced driver training courses for everyone - not just new drivers - but that step between a G1 and a G2 still requires this initial type of schooling. You have options: this is one of them. Our oldest daughter went to Drivewise in Oakville. Top notch... And yes, she loved the simulator. Our youngest had a friend who was using some other company because they were substantially cheaper. $500 vs $800 for Drivewise, I believe. No simulator and the most boring teacher on the planet. Neither has smashed anything with a combined 3 years of G2 driving. Still wish we'd Drivewised #2. I am going to skid school in November. Want to learn to drive a Mini like they did in The Italian Job. Simulators are a much safer way to assess whether someone should even be ALLOWED to drive.My father was a driving instructor and the things he survived...man!That said, it's impossible to replace simulator training with real world driving exp so the best method is a combination of the two with lots of practice. I'll never forget the time I decided to practice skid control while behind the wheel of the family Dodge Aspen with Dad as passenger. Perhaps I should've told him before doing it...memories of him yelling and holding the dashboard..priceless. I happen to be a good driver thanks to him. Too funny! My daughter got her G1 in the spring. Her very, very brave father decided she should drive from the licensing office to the grocery store. She managed with great aplomb until it was time to turn into the parking lot. Kind of forgot about that little thing called "braking" and careened around the corner almost on two wheels, with poor Papa in the passenger seat flailing his arms in the air like an octopus. I think the lesson was a little lost on her, though: she was laughing too hard at him.